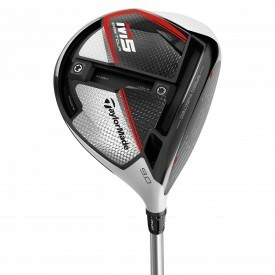 Following on from the success of the M3 Range of products TaylorMade have released the impressive M5 Range. The M5 irons incorporate a new Speed Bridge structure to help add distance to TaylorMade’s player model irons, this is also available in an M5 Graphite option. The M5 driver incorporates Hammerhead 2.0 technology as well as the hugely successful TwistFace that has been added to help maximise distance. The addition of a Speed Injection to the TwistFace of the driver and a new T-Track system has allowed Taylormade to make the claim that this year “Everybody gets faster!“. 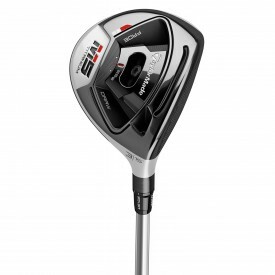 An M5 Tour Driver is also available, this features a slightly smaller head (435cc) as opposed to the standard (460cc) version. Finally the M5 Fairway has a moveable steel weight to offer a draw or fade bias option. 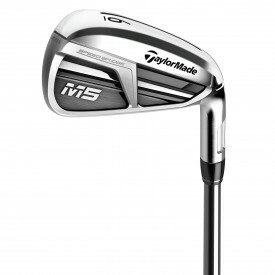 Once again TaylorMade are pushing the limits of groundbreaking technology with the new M5 range. The standard length for M5 and M6 drivers is 45.75"